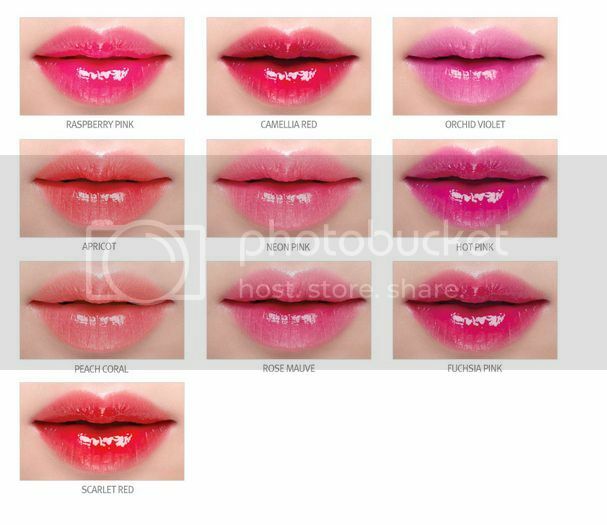 Laneige Water Drop Tint is a moist, shiny lip tint that makes your lips look as if they’ve been coated with water and creates lively, voluminous lips. With Laneige’s water fitting formula, the thin and soft water coating effect helps maintain optimal hydration throughout the day for a long lasting intense color. 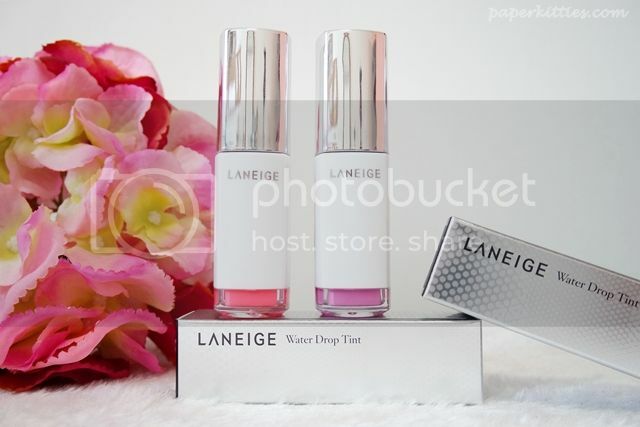 Besides that, Laneige also combines the Water Fitting Formula with low viscosity oil to produce grease-free but high shine that seems to be seeping from the inside. One of the many emerging stick-gloss hybrids on the market, this 10-shade lippie is one of the very best I have owned so far. I love how Laneige Water Drop Tint gives my lips an incredibly silky sheen without any squeamish stickiness like how most lip gloss does, nor does it dries up my lips like how 90% of the lip tints I own. The colour, albeit fading throughout the day, lasts forever on my lips without causing my lips to chapped and turn whitish at the corner (that it is prone to on bad, drying lippies). 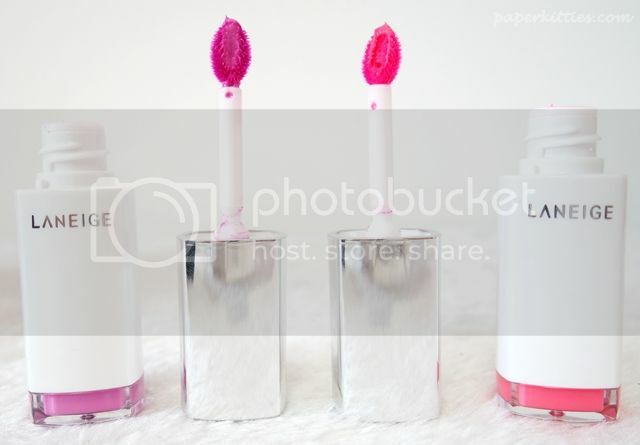 In fact, it felt as though the colour eventually blended into my lips and is seeping from within instead, very amazing! The texture is lightweight, glides on sheer and feels extremely hydrating. Between the two, Neon Pink is more buildable and allows you to steer towards the after-work party look whereas Orchid Violet is better suited for the girls who (like me) are more comfortable with natural lippie shades. 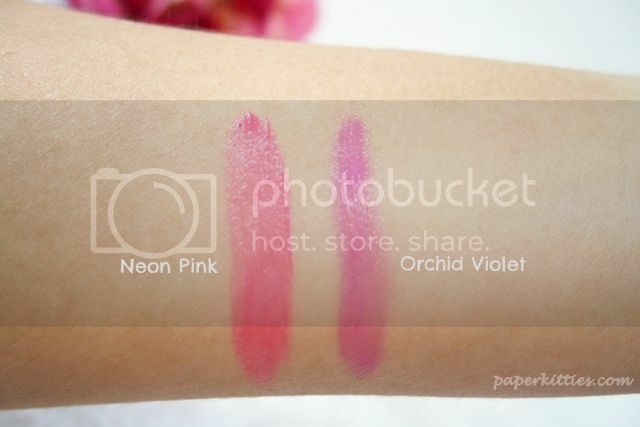 Personal preference wise, I tend to use Neon Pink for my photoshoots and Orchid Violet for daily wear. Don’t you just feel like owning every single one of these pucker-friendly shades too? !